Oliver here. I’ve been feeling a bit reflective ever since our purrsonal assistant received an email from another human named Daniel Richardson who lives, as we felines say, across the Pond. 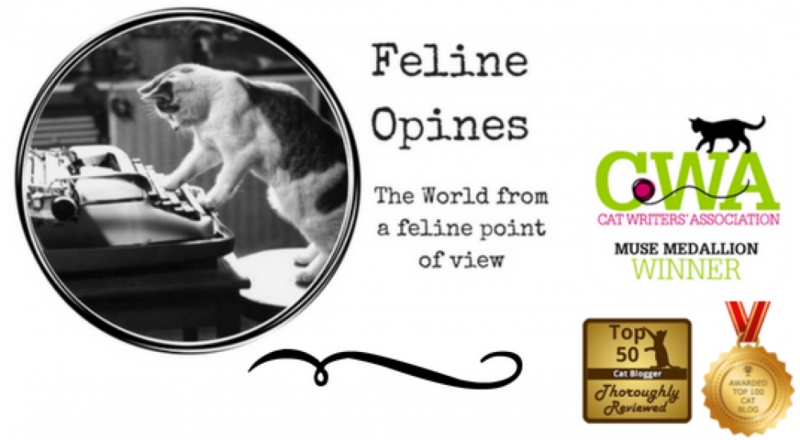 Those of you who follow our blog understand that The Tribe of Five is quite enamored with the British humans, who, we believe, are some of the most pawsome and enlightened humans when it comes to cats. Now this human, Daniel, was interested in sharing a graphic he’d done regarding the many reasons to adopt cats. The Tribe of Five are great fans of adoption. We even shared stories about our adoptions (and featured some baby pics) on our “Remember Me Thursday” post entitled, “Let’s Talk About Adoption” . We had our purrsonal assistant purrruse Daniel Richardson’s webpage, Tuxedo Cat and yowza did we learn a lot! Did you know that in the UK 75% of all cats are Black and White? And, because they are so common they’re often overlooked by many people when choosing a cat? Well this black and white cat says that’s terrible! I was horrified to learn that Tuxedo patterned cats generally spend more than ten days longer in cat shelters than other cats. This really made me think. If our humans hadn’t adopted us after fostering us, Alberto (my brother, the Siamese looking fellow) probably would have been adopted much sooner than me, even here in the U.S. According to the information on Tuxedo Cat, a “Tuxedo” is black and white, they typically have black coloring around their eyes often with a white chin or nose, sort of like a mask. To be officially classified as a Tuxedo Cat, the feline should have a predominantly black coat with a white chest and paws. The photo to the left is a fine example of a Tuxedo and is Whiskey, the spokespurrrson for the Tuxedo Cat website. Meowza is there a lot to learn about the esteemed black and white cat on this website. I took a good long look in the mirror and my coloring is not “classic” Tuxedo but I do think I’m close enough to stand in solidarity with the Tuxedos. Black and white cats are cool, they’re great swimmers, good-natured, very smart, and, well the list goes on and on but the female human warned me not to go too far with my “black and white cats are the best” lest the rest of the Tribe take exception to my comments. So, what started out as an opportunity to share an excellent graphic on adoption has become quite an information session about Tuxedo Cats. And there’s more, the Tribe of Five will be interviewing Whiskey and sharing with you his adoption story. This entry was posted in adopting kittens, animal shelters, cat adoption problems, Cat adoptions, cat behavior, Cat blogs, Cat writers, cats, kittens, shelter cats and tagged Anita Aurit, black and white cats, Daniel Richardson, https://www.tuxedo-cat.co.uk/, Oliver, The Tribe of Five, Tuxedo cats, Whiskey the Tuxedo cat, why tuxedo cats are the last to be adopted in the UK by Feline Opines. Bookmark the permalink. My goodness, I didn’t realize tuxies could have that much white…. in fact, if Purrseidon’s dark portions were solid black, she could even pass. I’m afraid that I tend to think of tuxues as being very dark because we consider Mr. M to be one, though he has very little white. Kosmo, their surrogate brother in Finland is also a very find tuxie… Too bad they can’t send any overflow of them here! Amen! We thought Purrseidon was our only Tuxie friend, just goes to show you, cats always have more to learn. I am opposite coloring of a Tuxedo, but still feel like this is hurts my fur..mow! I was only in the shelter for a day before Hannah came and snatched me up 🙂 but there were lots of other kitties I left behind.. very interesting about people passing by the black and whites – I love that coloring! Amen, didn’t know we black and white felines weren’t on the top of the list! Makes me very grateful for humans who adopt fantastic kitties like us! Pingback: The Tuxedo - Baptize A Cat? I love tuxies. I finally have my very own, she showed up in our garage earlier this year and we adopted her. She is indoor only now. We agree, Tuxies are very elegant. Tuxies are gorgeous – as are all cats! Great graphic, too! On behalf of all black and white cats I thank you. And I agree all felines are fabulous! We had a beautiful black cat in our Tribe but that was before Alberto and I came to live with our humans. His name was Buster and the humans tell us he was pawsome! I feel so bad for those black and white kitties in the UK, thankful there’s a human working to educate folks. The female human says “fangs a lot” for the purrayers, they working and she’s hobbling along much better.